Hello. My name is Eden Ashebir and I am currently a sophomore at Duke University in North Carolina. About three months ago now, I travelled to Ethiopia with my parents, my aunt, and my little sister. Both my parents as well as my aunt had been born in Addis Ababa. However, my sister, Leah Ashebir, and I were born in the states, and although I’d been once before at the too-young-to-remember age of 2, my sister never had herself. The experiences we had on our month long trip were unforgettable. I happily learned that there is nothing like injera or kitfo tibs made fresh in Ethiopia as well as getting the chance to meet different members of my extended family. But some of the most cherished memories I have from my trip belong to the children of the Fregenet Kidan Lehitsanat School. They were beautiful. That’s really the only way I can describe them, beautiful. But you have to realize that I’m talking about more than just their smiles. I’m referring to their laughter, their excitement, their generosity, their playing, their singing, their talent, their dancing, their goofiness, their respect, their friendliness, their happiness, their lovingness, their…. everything. But what made me proudest of all was their enthusiasm in the classroom. 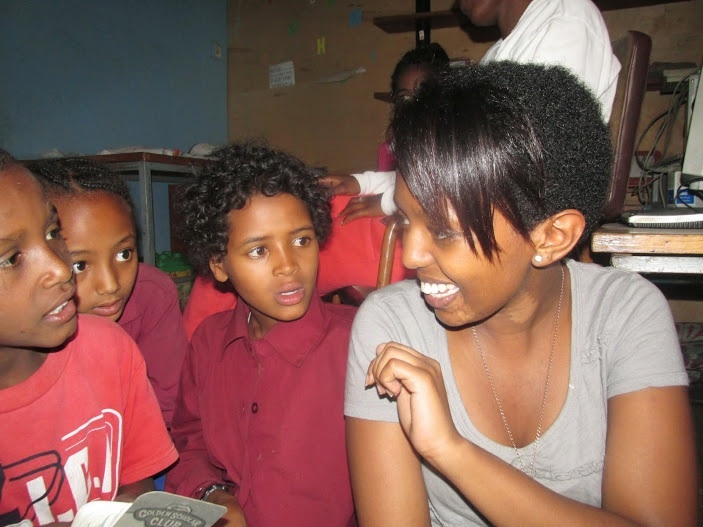 My sister Leah and I were helping them review their English before their final tests that were coming up soon. Each one of them worked hard to understand and was very attentive the entire time. Even though my little sister and I were the oldest ones in the classroom, they never used it as an excuse or time to goof around. They knew where their responsibilities lay. If they started talking, they immediately listened when told to quiet down. They would all call out to us, “teacher, teacher!”, stretching their arms as high as they would go. You could see the pride on their faces when they were picked to speak. They were not shy with their questions and got disappointed in themselves when they didn’t understand things or answer correctly. But if someone didn’t understand, the other students were always willing to help a classmate. When it was break time, they tugged on our hands pulling us outside and commencing to beg us to come and play with them. There were large circles of dancing and singing. They were absolutely silly and I loved it, their joy, intoxicating. And, as I learned, they sure do love posing for the camera! One day they decorated their classroom for us! They were so proud to show us what they had done. They were hardly able to contain their excitement enough to wait for someone to come and unlock the classroom door for us. But when we did finally get in, I was overwhelmed by the trouble they’d gone to make us happy. The act was so simple and yet so impactful. Their love’s purity really got to me. On our third and final day there, they were practicing their traditional dances and let my sister and I join in. But in the back, when we were just sitting there doing nothing, some of the children came to us with flashcards of English words and pictures asking us to pronounce them out for them. We stayed on each card until they’d pronounced them perfectly. Their dedication and awe while learning is incredible. Really. I wish I had that sort of motivation. 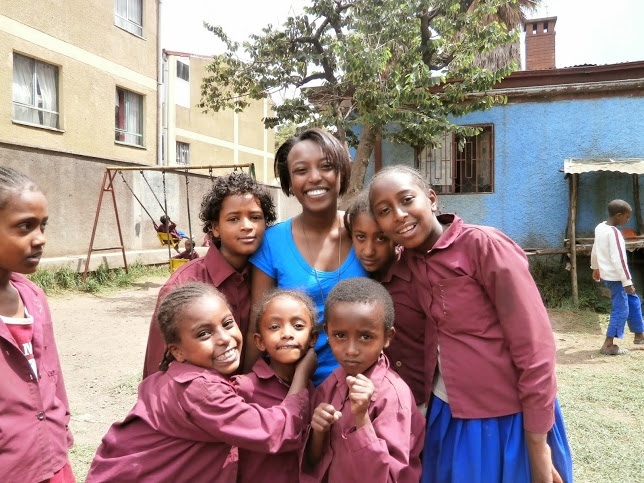 To those who plan to visit Ethiopia and this wonderful school someday: a word of advice? Look at this land with no expectations. I say this because too many people come ready to pity everyone and everything they see around them. But honestly, the last thing anyone needs is pity. These children’s smiles are so bright you’d think they don’t even fully understand their situations. But they do, and they’re still happy. What you need to feel, at least by the time you’ve returned home, is the overwhelming joy and pride for the sureness of success that these children have thanks to the Fregenet Foundation. Although we only had three days of our trip to spare due to running around the country busy the entire month, those three days are something I’ll never forget. I can’t say that I would’ve complained about having gotten more days though! I am so glad that I got the chance to be a part of something like this. I really did learn some great lessons on happiness and dedication from them. 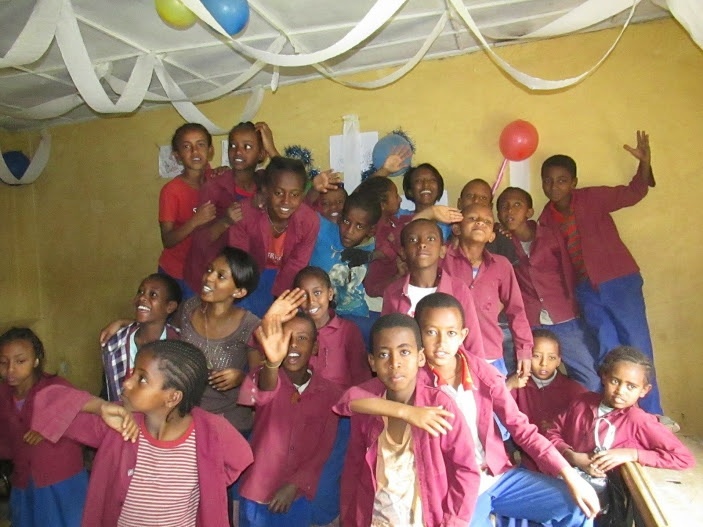 These children are the heart and soul of Ethiopia and I absolutely miss them.